German online language course in a virtual classroom now! Sprachschule Aktiv. Virtual classroom. Your choice for efficient online class training. Your language trainers introduce themselves – Take a look around. PC, iPad, Tablets – Suitable for many platforms and formats. Just choose the right course – No worries thanks to money back guarantee and private trial lesson. Online German courses with qualified German native speakers. Learning German online A1, A2, B1, B2, C1, C2. Learn German online now – effectively and anywhere in the world – We offer German language courses online for people with an affinity for online learning. You can learn comfortably from home. All you need is a computer and an internet connection. We offer online group courses in German with up to six participants once or three times a week and private course packages of five, ten or fifteen times 90 minutes. Benefit from our many years of knowledge in the field of language teaching now online. You can now learn German from the comfort of your own home. Forget long journeys to the classroom. No matter where you live, our teachers are always on hand for you and quickly reachable via the internet. German online private lesson. You are connected to their teacher via a microphone and the headset. There is little difference between private lessons online and regular, physical private lessons. Try it out. German Online Group Courses: Group lessons are also possible. You log in to a virtual classroom. You can interact with the teacher and even with the students. Online learning is especially interesting for company courses. Our online courses are tailored to your needs. If your employees work in front of the computer anyway, they do not even have to leave their workplaces. You simply log in and the lessons can begin. If you would like to learn German as quickly as possible, then our Intensive German Online courses (intensive group courses three times a week) are just the thing for you. The courses take place in small groups, so you can make rapid progress. If you primarily want to improve your German grammar, you can simply attend one of our German grammar language courses online. Our online school for German as a foreign language offers 30-minute trial sessions with our real teachers. This way you can easily see how our virtual classroom and our online German lessons work and still try us out without any risk. Then you can decide in peace whether you still want to book with us. Our German courses are designed for beginners and advanced students. We offer all levels according to the European Reference Framework for Languages. If you are a beginner, choose the level A1 or A2. Levels B1 and B2 are intended for advanced learners. If you are looking for a perfect command of the language, we have courses at levels C1 and C2 for you. Of course, in our online courses you can also prepare for the test German as a Foreign Language (TestDaF) and for the German Language Examination for University Entrance (DSH). You only learn a language perfectly if you are taught by native speakers. Of course, this also applies to our online courses. That’s why our teachers come from Germany, Austria and Switzerland. They speak German as their mother tongue. You learn perfect pronunciation right from the start. If you prefer to be educated in your native language or in English, we also have academically trained experts from abroad. We offer both group courses and private lessons. The internet as a medium offers you a variety of opportunities to acquire a language. You log into the classroom and you also have contact with your classmates. With private lessons over the internet you will hardly notice a difference. Our online courses have the same high level as our physical attendance courses. Often the question arises, which course is best for you. To answer this exactly, we offer you a placement test. Of course, you can also do this completely online. Based on the result, we assign you to the appropriate course. Should you have any questions, just contact us. 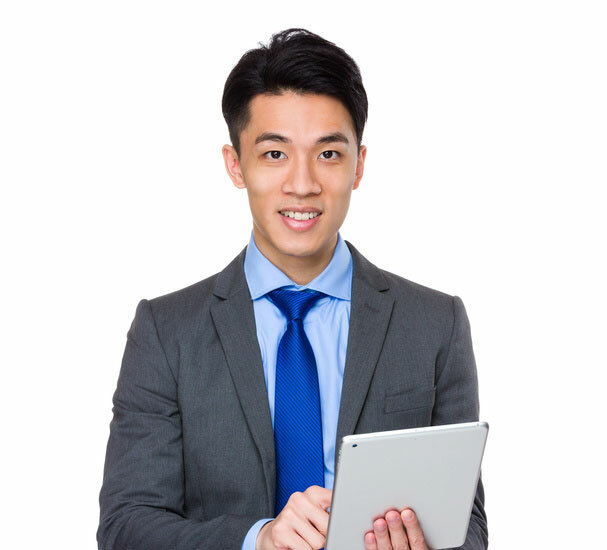 Our staff will help you in a competent and friendly manner. Convince yourself of the advantages of a German online training compared to the German courses in our language schools. Companies can fall back on their staff immediately, always retrieve all contents and check student progress! Learn German Online – With real native language teachers! New virtual classroom including media center. Get to know our German teachers! Trained and motivated German teachers. Over 10 years of experience in teaching languages. Available everywhere and constant proof of progress. 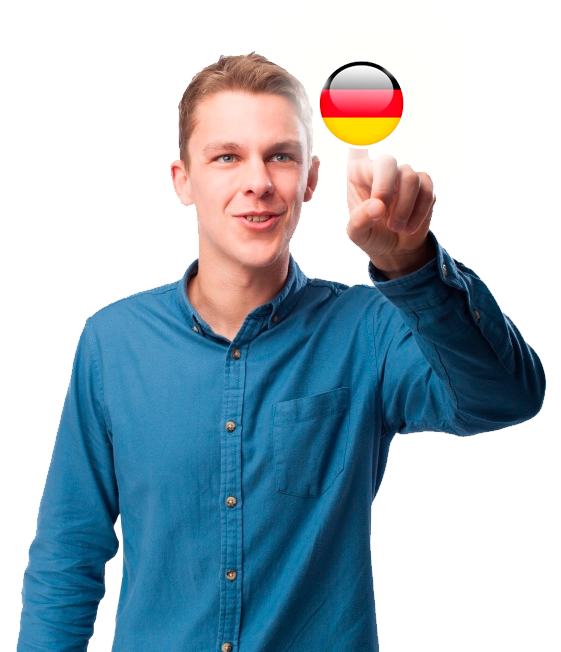 Learn German online, with real teachers - Online courses German as a foreign language - now also in a virtual classroom! Our constantly evaluated teaching methodology combines our recognized teaching quality with the flexibility of an online classroom. Access to our trained, German-speaking staff is guaranteed, as is the spatial independence and constant control of your own goals or your company’s internal learning objectives. We offer online private lessons in German as well as small groups of no more than a maximum of 6 people. All variants of German language learning as well as specialized German language courses are accessible online: writing, reading, listening and speaking! All levels from A1 to C2 are available. We offer absolute flexibility! From individual lessons to intensive, daily or weekly small group lessons with a maximum of six participants, everything is possible. Thanks to our recording licenses, you can access missed lessons for up to four weeks so you will not have any gaps in the course, or you can view unclear content again. Stay untied of any location! No more trips to language schools. Recordable lessons up to 4 weeks and learning progress always documented! And this is what our previous customers say about our online trainings! We have been in the language school business for more than 12 years! Not in the office? No problem. You can also learn from your tablet with us! Immediate access possible! No long manuals or software installations. Log in immediately by email! No matter where in the world, you can learn German from anywhere. Whether on business travel or during the waiting period for the visa, we are there for you. Only the best teachers of Sprachschule Aktiv teach online! Also, our material is interactive thanks to our digital, virtual classroom whiteboard! We would be pleased to show you what our solution looks like! Just have a look at our picture gallery. Do you have any further questions? Under 1100 or info@german-online-training.com we are always there for you! You remain flexible and independent of location and. You can retrieve missed content again. Your learning progress can be documented and retrieved for you and others.